Have you read my novel WHERE ALL THE DEAD LIE? Booksweeps is giving it away, along with 15+ fantastic Paranormal Mysteries & Thrillers from an amazing collection of authors, PLUS a brand new eReader- along with a collection of FREE reads just for entering! Enter to win a copy of THE SIXTH DAY, plus more than 25 fast-paced thrillers! That's not enough? BookSweeps is giving away an ereader too. Good luck! 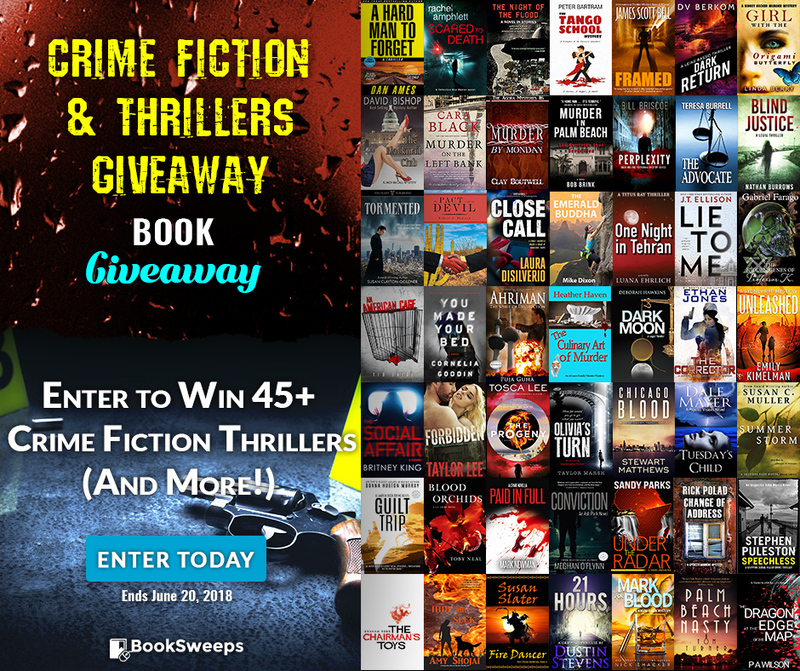 Win THE COLD ROOM, along with 35+ more crime thrillers! Have you read THE COLD ROOM (Lt. Taylor Jackson #4)? 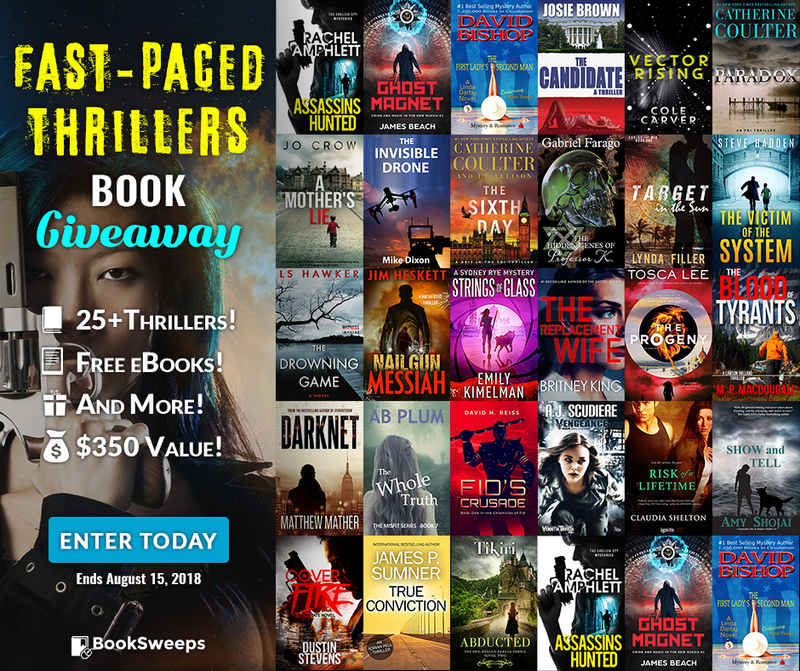 For a limited time, you can enter to win the book, plus 35+ fantastic crime thrillers from an amazing collection of authors, PLUS a brand new eReader – along with a collection of FREE ebooks just for entering! Instant Access to 70+ FREE Romance Novels & Stories! Celebrate Summer 2017 with Over 50 FREE Mystery & Thriller Novels, Short Stories & More, PLUS $100 in Prizes! Win FIELD OF GRAVES + 20 Romantic Suspense novels + a Tablet! Have you read my RITA-nominated novel FIELD OF GRAVES? Enter to win the book and 20 fantastic romantic suspense novels from an amazing collection of authors, alongside bookstore gift cards, PLUS a Kindle Fire or Nook Tablet! Win THE COLD ROOM + more Dark Thrillers + a Tablet! Have you seen this awesome giveaway from BookSweeps? You can win Taylor Jackson #4 THE COLD ROOM, plus books from authors like Lisa Gardner and Joseph Finder, and a Kindle Fire or Nook Tablet. Win a Mega Bundle of Contemporary Mysteries & Thrillers + MORE! Throw your hat in the ring for a HUGE Bundle of Contemporary Mysteries & Thrillers, $25 Bookstore Giftcards (12 up for grabs! ), and a Kindle Fire or Nook Tablet. Psst: haven't read NO ONE KNOWS? Then hop to it and enter, because you could win a copy. ➤ Click here to enter. Win 50 Paranormal, Sci-Fi, and Fantasy Romances + MORE! Paranormal, Sci-Fi, & Fantasy Romances. Gift cards. Kindle Fire. Nook. This giveaway's got a ton of stuff up for grabs—all you have to do is follow me on Amazon or BookBub! ✨BIG news✨: you have 200 chances to win an ARC of LIE TO ME! With odds like that, how could you not throw your hat in the ring?? Open to 🇺🇸🇨🇦 and sponsored by the fine folks at Harlequin.